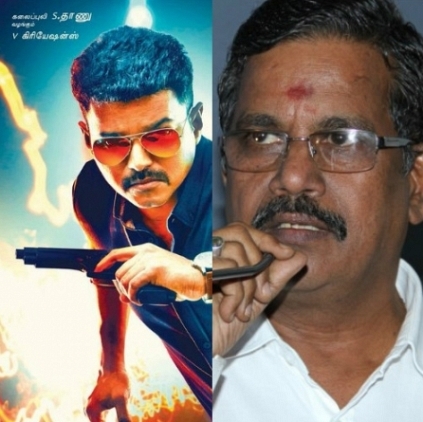 Producer S.Thanu recently held a press conference to further clarify his position regarding the controversy surrounding the release of Theri in some parts of the Chengalpet district. As quoted by him, the rights for the film were sold by him to a Mumbai based company, who in turn had it sold to respective distributors such as SPI Cinemas. Also, he reinstated his stand that he never had a say regarding the negotiations that went on between the distributors and respective theatre owners. Moreover the ace producer was furious about the disappointing actions of a particular theatre owner who he claims has been in the habit of demanding money from him to bear the loss of a previous film, every time a new film was set for release in Chengalpet. People looking for online information on Kalaipuli S Thanu will find this news story useful.